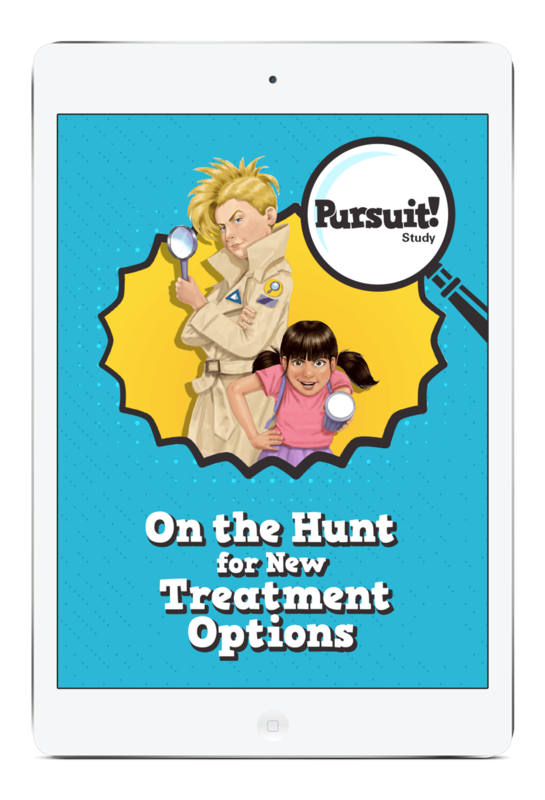 There are many technologies that must be used to manage a clinical research effort. BBK developed an industry game changer in TrialCentralNet® (TCN®) — a Patient Recruitment Management System introduced to the marketplace more than two decades ago. Now updated with expanded functionality and capabilities, BBK is proud to release TCN® V7.5, the first-of-its-kind Patient Experience Management System — a secure and GDPR-compliant Web-based interface that provides the necessary modules to activate a host of services for enhancing the patient journey while supporting the study community. TCN® remains dedicated to institutionalizing best practices regarding recruitment, enrollment, and engagement for clinical trials. TCN® released into the marketplace. TCN® mobile application made available in the App Store and Google Play™. App shell developed for customization and rapid deployment. Sites receive referrals from physicians through TCN® and the TCN® mobile app as a result of consumer outreach. The system monitors referral follow-up, and BBK provides sites with assistance if needed. A fully functioning system - with APIs to multiple data sources - that eliminates duplication of effort while capitalizing on data for the purpose of managing market science and enrollment success. BBK’s innovative reporting not only allows for midcourse corrections but provides sponsors with direct access to ROI results. With advanced version capabilities, Doc Manager ensures that the right country is associated with the right ethics committee, and that the corresponding site has access to final versions of documents in their language. BBK has made sure that site staff can retrieve critical information from TCN®, whether at their desk, with a patient, and everywhere in between. Requesting patient travel, managing payments and reimbursements, orchestrating e-consents, sharing study information with staff and patients - it’s all possible for site staff to do in TCN® using a desktop or mobile device. Our mobile app platform was introduced to the world of research and development so that clinical teams could benefit from the most current technology with regard to disseminating controlled information on a regular basis to patients and site staff — at a price clinical teams can afford. 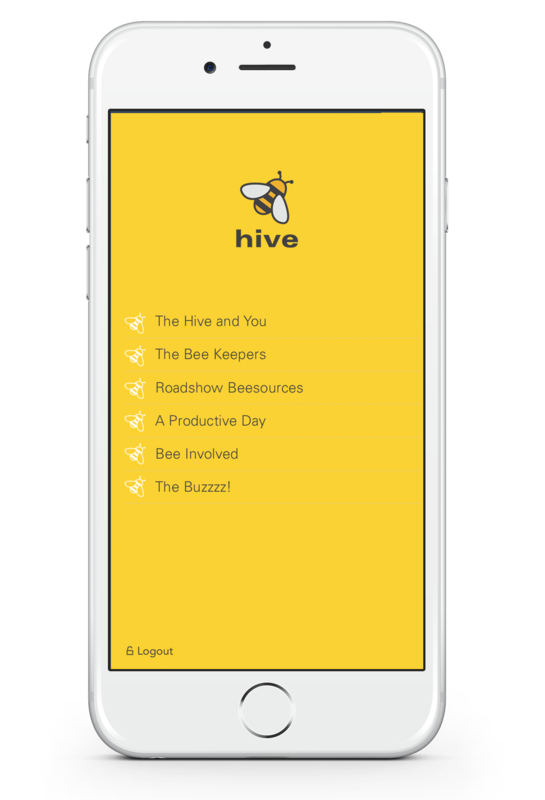 Our app platform is completely database driven. It derives its power from TCN®, and it can be customized at a moment’s notice. 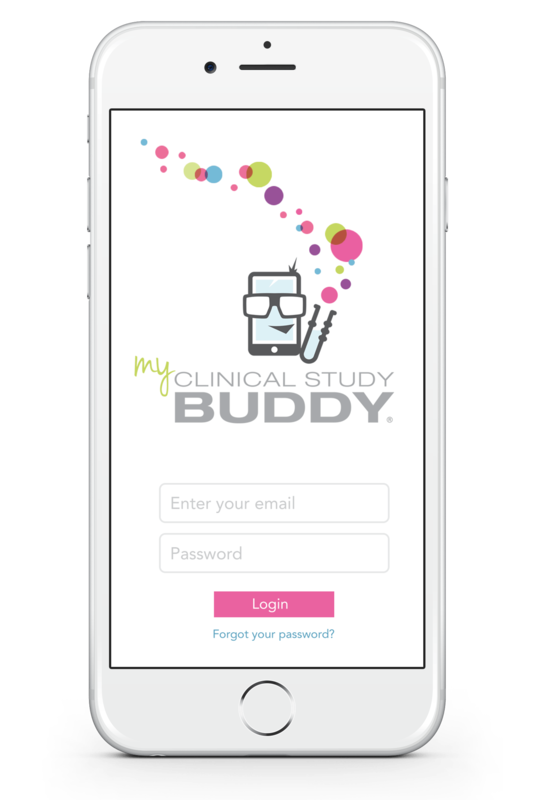 Available in the App Store and Google Play™, BBK used the app platform to create, among other innovations, My Clinical Study Buddy®. Within just days of ethic committee approval of content, patients can start to benefit from the study-specific information. 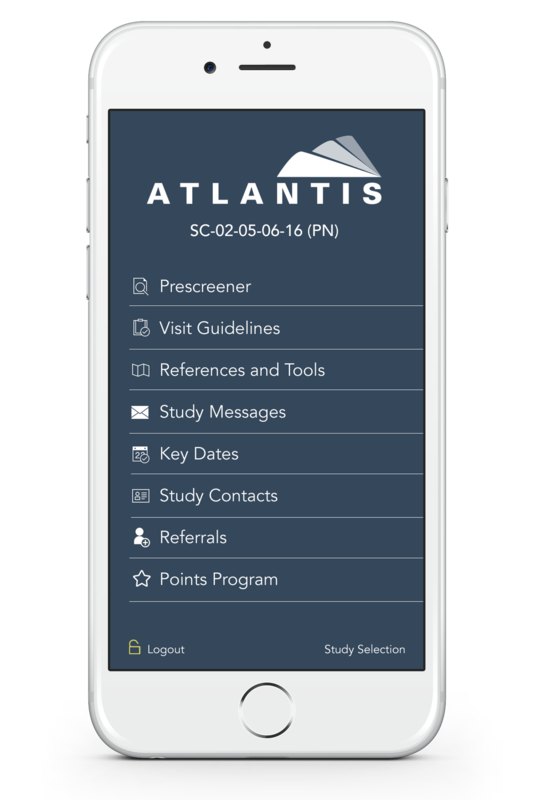 Sponsors can customize the app to include the study logo and related colors. Hours – we can configure an app for you in less than a day. The number of clicks needed to access study information on-the-go. What do you want your app to do today? 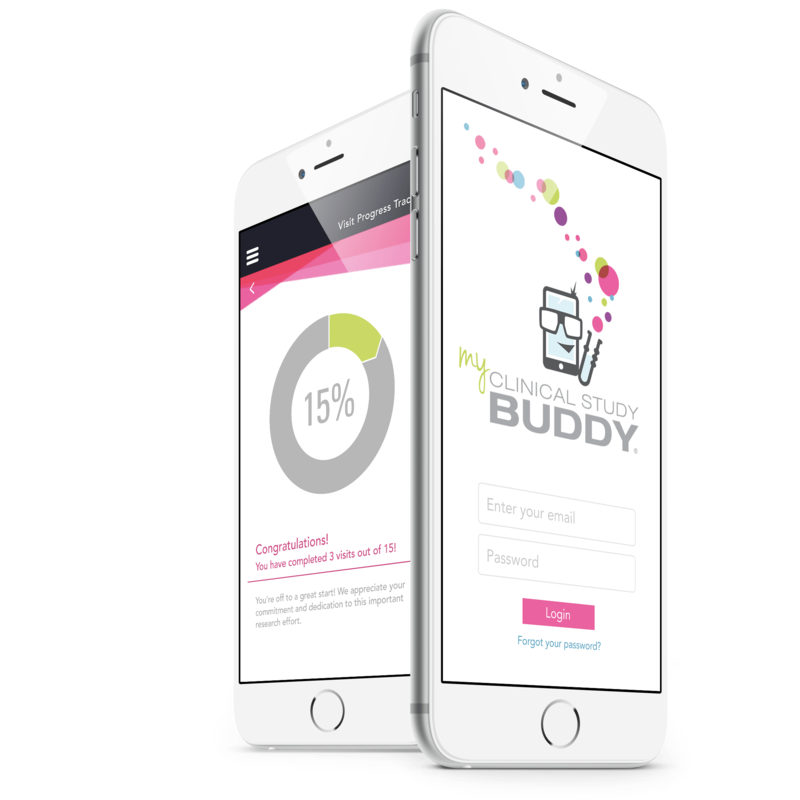 With Buddy, the patient has the opportunity to set language preferences and can opt to participate in RSG® Arrive or Card; or request to receive key reminders via app messaging, email, SMS texting, phone call via our Your Study Nurse service, or by the site directly. What’s more, a patient has a visit-by-visit guide at their fingertips with corresponding explanations of exactly what to expect. It’s all about the patient’s experience and their right to choose. We do not clutter TCN® mobile with information. We strategically include content that doctors and nurses need as they manage their day’s efforts. Consider: inclusion/exclusion summaries, searchable protocol pdfs, referral lead sheets, and informed consent presentations at their fingertips. Use our platform to prepare principal investigators and study coordinators for the IM meeting (complete with itinerary) and then change the content, virtually instantaneously, to support enrollment. 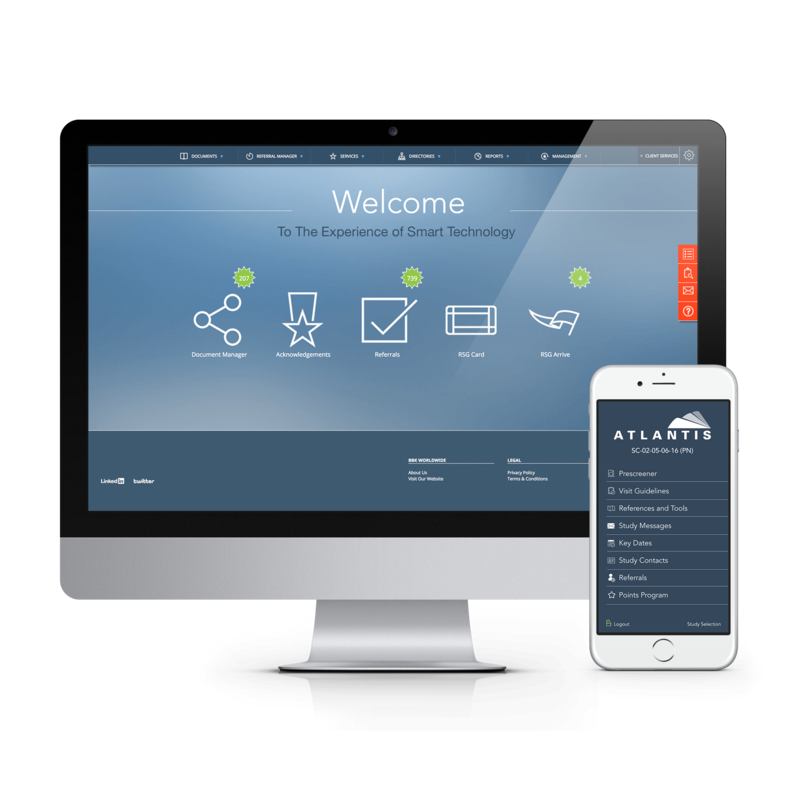 Want an enterprise version of our app platform? No problem. Want to have support for a special event? It’s done. 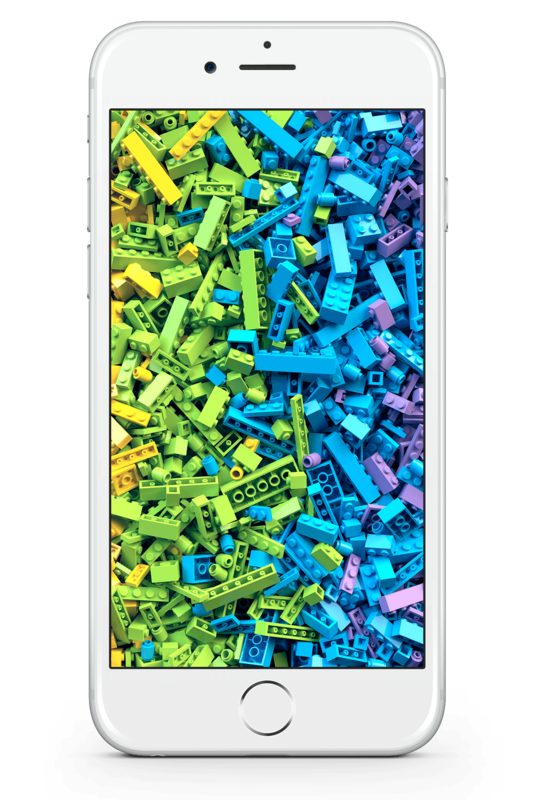 It’s the LEGO set of the app world; there for you to create what you need through pre-programmed functionality with set-up and data exchange through TCN®. A closer look at what’s possible with BBK’s app platform. The use of mobile devices by health care professionals and educators has transformed many aspects of clinical and teaching practices. Mobile devices and apps provide many benefits, perhaps most significantly increased access to point-of-care tools which has been shown to support better clinical decision-making and improved patient outcomes. 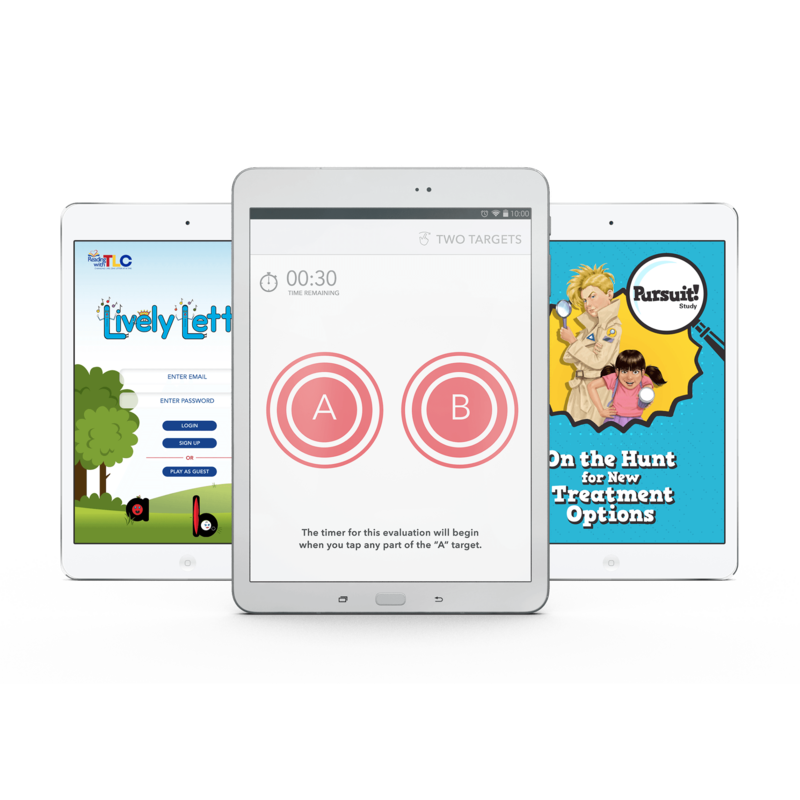 Seeing this medical app to its second and currently deployed version in a clinical trial sub-study is an exciting area for BBK’s innovation group. 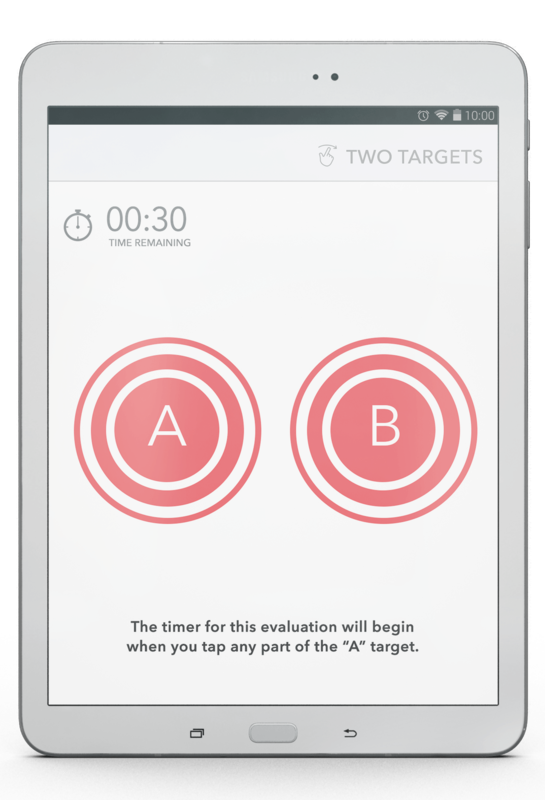 Working closely with Apptomics’ scientists, BBK and its alliance partner Biotaware, are evolving this clinically-validated app to become the standard for monitoring movement disorders — thus improving symptom measurement and patient outcomes. Reading with TLC has helped more than 15 million students including those with dyslexia, speech disorders, and English as a second language learners to academically thrive. 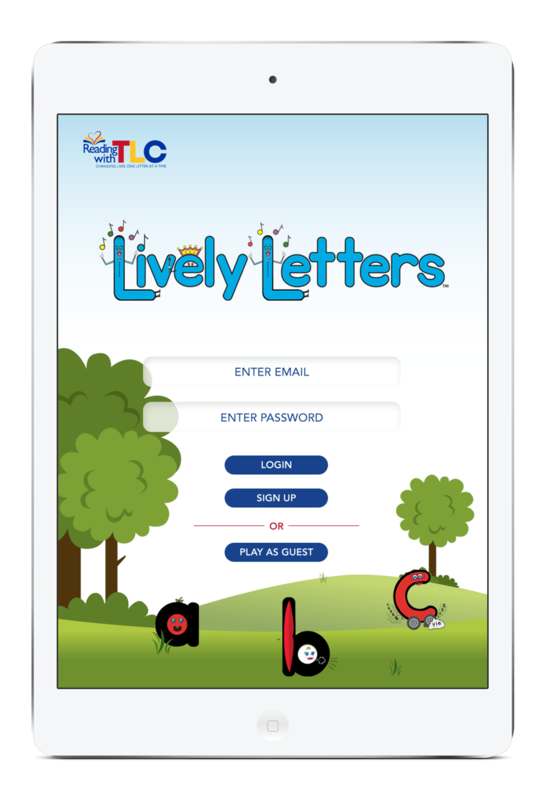 Based on a system developed by the company over three decades, the Lively Letters app version of their phonemic awareness, reading, spelling and speech skills system was developed in conjunction with BBK and was recently ranked #1 of all paid educational apps in the App Store. With the proliferation of app usage among children, BBK has applied its app prowess to help guide children through their study participation while also creating engaging educational moments that help pediatric patients and their families to better understand the conditions they are managing and living with. We also pride ourselves on using gaming as a tool for enhancing interactions between Alzheimer’s patients and their loved ones.